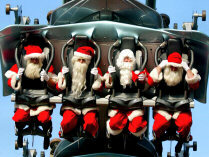 Following the news about the Santa Society coming to Alton Towers, we can now bring you photos of the day. Click here to go to the gallery. Thanks to Alton Towers for supplying the photographs.